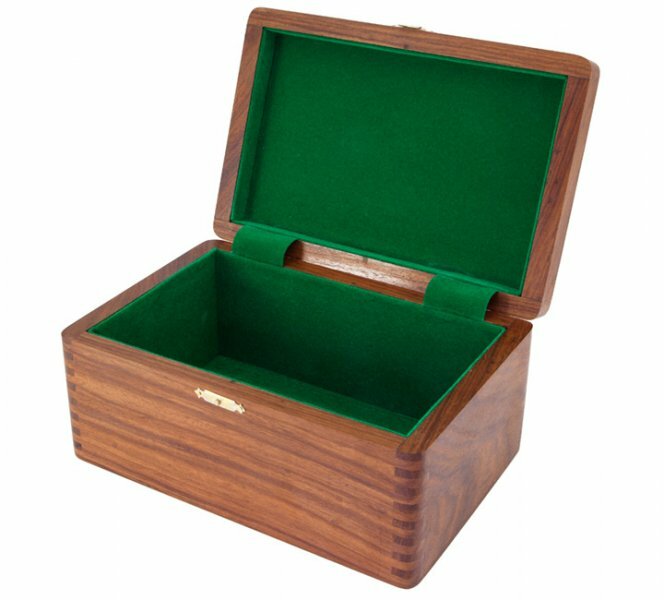 When you buy a set of lovely wooden chessmen it's desirable to have a safe place to keep them. 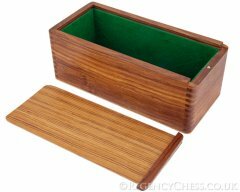 Our range of wooden boxes has a great selection of places to store your chessmen for safe keeping. 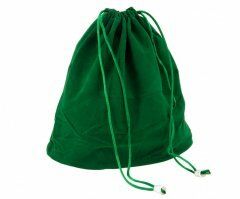 We stock everything from basic draw string bags right up to large compartment style cases for the storage of large luxury chessmen. Although it might seem a shame to hide your lovely chess pieces away from view sometimes they just need to be kept locked up safe and sound. 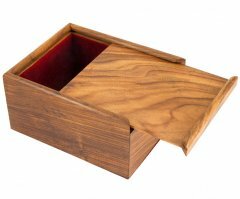 Most chess boxes on the market feature two basic compartments, one for the black pieces, the other for the whites. Some customers express concern that having the pieces laid one of top of the other isn't the best way to care for them. Chessmen have been stored like this for centuries. 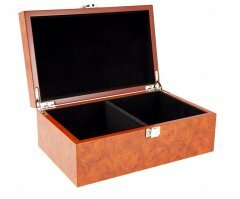 If they are proper hardwood chessmen of high quality you have nothing to worry about when storing them all together in the same case. 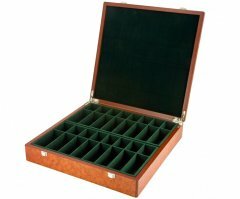 In our selection of chess cases are some hand made exotic hard wood boxes from The Regency Chess Company. 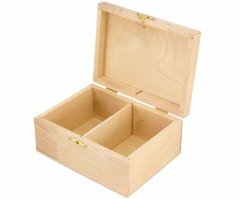 These cases have been crafted by hand in small wood workshops and display a real hand made quality to them. 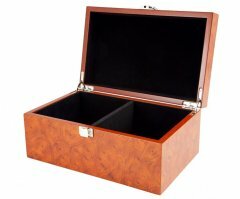 These cases are completely solid wood with no veneers or MDF insides. If you own a set of fine hardwood chessmen these cases are ideal, they have that lovely vintage character and are the perfect partner to the perfect chessmen.